This grenade stress ball will make a strong impact on the competition! You can custom imprint a grenade stress reliever with a personal message. 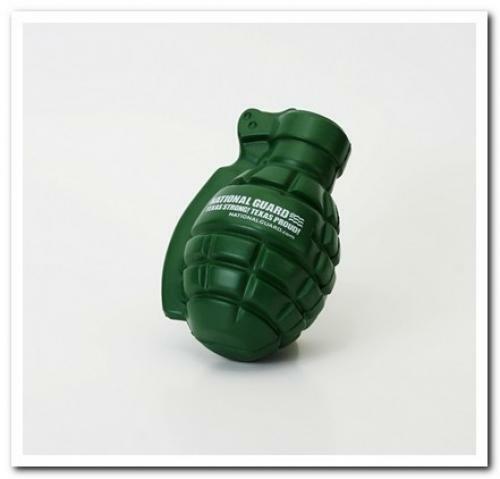 These Grenade stress balls are a great marketing tool for any industry, service or event. When you hand out these fun promotions you can expect an explosion in your marketing exposure.